Caption slip reads: "Photographer: Olmo. Date: 08-26. Reporter: Brown. Assignment: Attempt suicide. 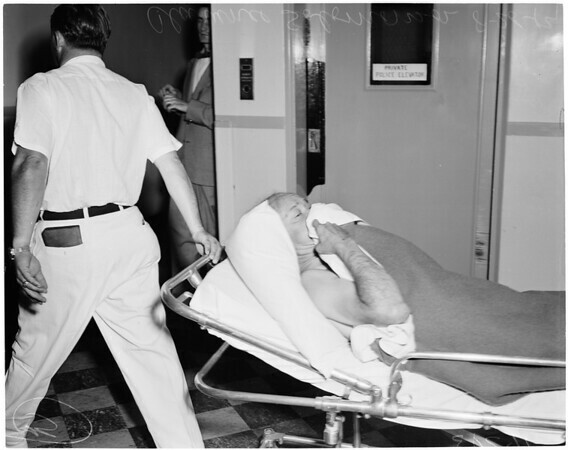 13: Clarence Solomonson, 56, Liquor Control Officer who shot self thru chest, being wheeled out of Georgia Street."